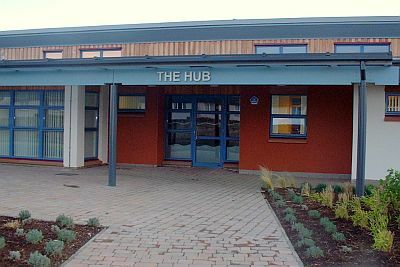 The Hub is part of Sanderson’s Wynd Primary School and provides support for primary aged children in East Lothian who have severe and complex additional support needs. We have three classes: Green with six pupils, Red with six pupils and the Blue with six pupils. Our day begins at 8.45am and finishes at 3pm.